Among all the sins a man might commit, betrayal – a species of fraud – ranks among the most ethically abhorrent. The key to understanding the gravity of the sin of betrayal, and the crime of fraud, is the fundamental role of trust in the organization, function and governance of society. In Aristotle’s model of the ethical spectrum whereby human relationships range from the primarily transactional (business and trade) to the largely altruistic (love and friendship of every kind), reciprocal trust and confidence are what sustain the viability of interpersonal relationships. A simple, practical illustration of the validity of this model and its foundation may be found in any transaction in which the parties agree upon the terms of trade: I will give you $1.59 and you will provide me with a refreshing beverage. The successful completion of this transaction tacitly reaffirms the reciprocal trust and confidence of the parties involved. Now, suppose that after remitting the $1.59, I either do not receive my refreshing beverage, or worse yet, I receive what may look like my refreshing beverage but is in fact a noxious concoction. In such a transaction, I become the victim of fraud, a betrayal of my confidence that I could trust the vendor to deliver what he promised for the $1.59 I gave him. If, on the other hand, I do in fact receive the refreshing beverage I asked for, but the vendor instead discovers that the currency I gave him is counterfeit, then it is he who becomes the victim of fraud, my having betrayed his confidence that I was remitting the $1.59 as he trusted me to pay. In both scenarios, the primary ethical violation is a betrayal of trust which serves to undermine the individual’s confidence in a fundamental premise for interpersonal relationships. Extend these two scenarios to situations where the stakes are much higher — be they materially objective, or psychologically subjective. Under any circumstances, from the transactional to the altruistic, violation of trust and breach of confidence constitute the gravest ethical transgression. In summary, trust is the connective tissue of all relationships in society – from its economic and political systems to its interpersonal dynamics — and without it, individual activities lose ethical integrity. These are the issues at the core of Empire of Gold, the current SBS drama starring the fantastic Lee Yo Won. The story here pulls no punches when it comes to dramatizing a wide variety of fiduciary transgressions, exploring how the various agents of fraud and betrayal arrive at the choices they make and deal with the consequences of their actions. This drama takes family dysfunction to a whole new level. Corporate takeovers, corporate liquidations, conspiracies, deception, treachery and betrayal are the hallmarks for these nonredeemable cast of characters. Each trying to one up each other on that bullet ride to satan’s door. Given such a description, one has to wonder what could possibly serve to redeem this story and make the drama worth following. As I mentioned earlier, it is precisely the drama’s unapologetic dramatization of avarice and its ethical cost that makes it so compelling. Most remarkably, Empire of Gold manages to avoid being apologist about its subjects’ bad behavior. Its unflinching view of the inescapable spiral of casual corruption is more an indictment than a celebration. Eighteen chapters in, with six episodes to go before the end of the story, Empire of Gold is still sending its subjects careening to hell’s gate. 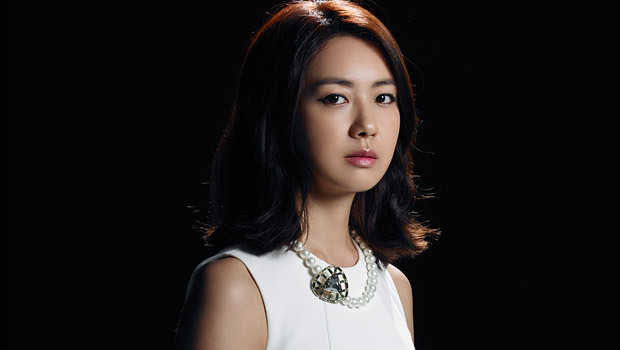 This entry was posted in (이요원) Lee Yo Won, ethics, KDrama, Notes on..., query and tagged betrayal, fraud, greed, Lee Yo Won. Bookmark the permalink. … which were parked under Heartless City are finally getting their own post. The drama started out feeling a bit — I don’t know exactly — dingy, maybe, a little corny (? ), perhaps, but it has gradually and progressively become quite exciting, enthralling, really – lots of holy moley! moments in all the scheming and shifting alliances. Perhaps the most intriguing thing about Empire of Gold is that there is no single good guy. Everyone in this is at least a little corrupt, a little cruel; everyone cheats a little and steals a little; there are no heroes – just people who are just good enough to feel that pang of conscience as they continually do terrible things in the name of acquisition. And the villain is deliciously well disguised. Gives new depth to the adage, “Revenge is a dish best served cold”! oohf! Aw man! There is no better drama than when the masked villain unknowingly reveals his true identity to his unsuspecting, previously wholly trusting victim! One of the best movie examples is when Fredo shows off to Michael about his carousing with Mo Green, unwittingly revealing to the new Don that the traitor who exposed his family to mortal danger was none other than his own brother. Would you believe that the chapter 11 of Empire of Gold tops that? The set-up is fantastic: layered and subtle, with the most significant and insightful hint coming from the heroine’s principal opponent. As a disenchanted member of the enemy camp, Tae Joo tells Seo Yoon about the ambush Min Jae has awaiting her candid capitulation to his demands. For some reason, Seo Yoon, although brilliant and often ruthless when she has to be, cannot imagine Min Jae’s double cross so Tae Joo’s warning makes her stop in her step. And then he adds that the power behind Min Jae’s trap lies with someone very close to her. Understandably this time, it never even remotely occurs to Seo Yoon that the serpent lying in wait is the one person she trusts most in the world. Tension mounts when the serpent manages to subtly cast suspicion on Seo Yoon’s older brother – the Fredo to Seo Yoon’s Michael. He seems to fit the bill of someone ‘close’ to her. The fact that he was the last of the family to spend a considerable amount of time with their dying father enables the serpent’s gentle whisper about it to strengthen Seo Yoon’s suspicion. But it is Tae Joo’s intuition that Min Jae’s puppet master is the person who makes a very specific suggestion that tips Seo Yoon off to the true culprit in the eleventh hour. Lee Yo Won’s bearing in this show is unusually cool, her facial demeanor noticeably passive-yet-hard, seemingly fatigued but with an icy steel point… It is therefore truly remarkable to see how the actress manages to sustain her character’s composure as she realizes (and resists realizing) that her mother is the traitor, making use of a mere sliver of the range of possible changes in a human countenance to show the audience by subtle shifts of micro-expressions the disbelief, hurt, anger, and sadness that wash over her in that instant at the dinner table when her mother calmly and unknowingly reveals herself to be the serpent in the garden. I can’t wait for chapter 12! A couple of weeks ago I watched A.f.r.i.k.a., a Bonnie-n-Clyde-esque movie starring a very young Lee Yo Won (she couldn’t have been more than 19 at the time) and I sort of fell in love with her. There was something about the skinny, brooding, disillusioned, reluctant bandit that made her irresistible and it took me a while to realize that the face looked so familiar because she was the same actor playing Seo Yoon in Empire of Gold. She is apparently even more famous for the title role in The Great Queen Seon Deok and given what I’ve seem so far, I’m definitely adding that to my library and watching it. All this rumination because of a scene I just watched in chapter 12 of Empire of Gold. In it Seo Yoon — still holding out hope that the woman she grew up considering her mother, Han Jung Hee, was in fact true and loyal — trying to convince herself that Tae Joo is to blame for her doubting a paragon of virtue, tosses out a piece of bait in a definitive test. She casually tells her assistant to neutralize the holding power of Sun Jin Cement, the subsidiary of the Sun Jin Group where Han Jung Hee’s secret power lies. And Han Jung Hee fails the test. Resoundingly. Using the memory of Seo Yoon’s recently deceased, adored father for leverage, Han Jung Hee craftily applies pressure on all the right emotional buttons, urging Seo Yoon to maintain the company’s holding status: it is what he would have wanted, she coos. An unsuspecting Seo Yoon might have been lovingly moved. The wise Seo Yoon now gets confirmation that her supposedly loving [step]mother is essentially moving to ensure the continued potency of her secret seat of power. In that moment, Han Jung Hee does not seem to realize that Seo Yoon very subtly actually recoils in horror as the older woman reaches up to wipe away the torrential tears pouring down her face. The scene is simply magnificent! Oh. My. Gad! My heart breaks for Seo Yoon. Of all the victims of the battles she is engaged in with Han Jung Hee, her forlorn youngest brother, Bae Sung Jae, is the latest, most tragic casualty. And it is all Seo Yoon’s doing. “The sin I am about to commit is too great for me to take a confession,” she says, telling her secretary to cancel her Sunday Mass attendance. With that, Seo Yoon perpetrates the ultimate betrayal in a tactical move to force Han Jung Hee’s hand. What I find so terribly heartbreaking about the situation is that Seo Yoon knows the awful gravity of the sin of betrayal – violating the trust of someone who openly confided in her in good faith and risked everything to help her because it was the only way he could see to counteract his mother’s destructive vengeance. As Han Jung Hee says, Seo Yoon tramples Sung Jae’s heart; what we also see is Seo Yoon crushing her own soul in order to salvage her father’s empire. I love your Oh my gad-s! … coming soon. Because I love Lee Yo Won unreservedly. So much so that I don’t want to know anything personal about the actress so that I may continue to enjoy her work without the intrusion of ‘biography’. Ah! This is sooo wonderful! I thoroughly enjoyed reading every single thought in this post and I love the critical-analytical originality you bring to your reading of this kdrama [I like to think that the “k” is silent 🙂 ]. I, too, watched Empire of Gold live and was blown away by the depths it plumbed to pose some really challenging questions about ethical responsibility, ranging from ethics within the family to ethics in business — questions that need to be posed in the real world and to the people who control the world’s resources. The way I see it, Empire of Gold is a really astute dramatic examination of how vulnerable the capitalist system is to the needs, appetites, whims and drives of mere humans, especially when they lack, or worse yet, ignore basic tenets of ethical conduct in business and social interaction. 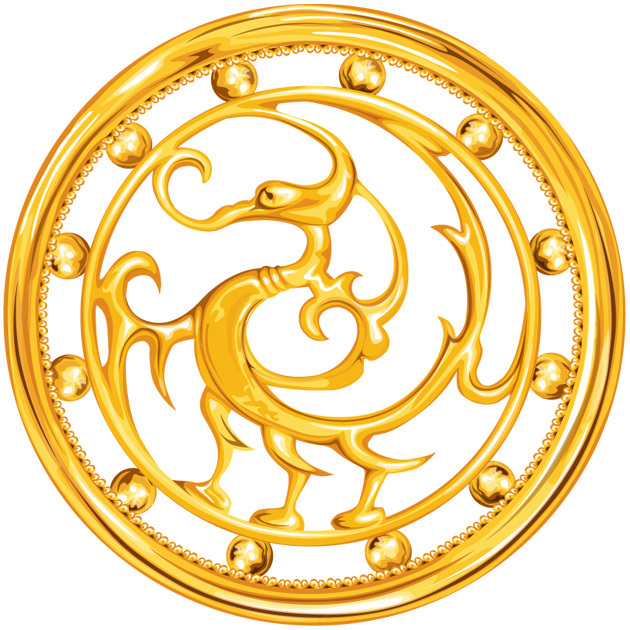 I’m going to keep exploring your site and reading your other posts on Empire of Gold and I really look forward to it. If you are interested, I also jotted down some notes about Empire of Gold that you might enjoy. You can check them out here.